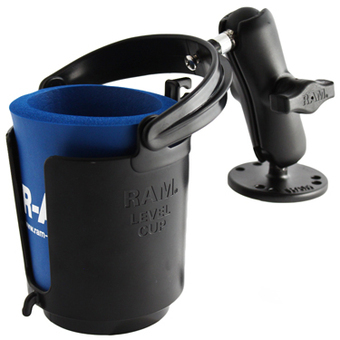 Unfortunately there is only 7 of RAM-B-132U RAM 1 INCH BALL MOUNT W SELF LEVELING CUP @ COSY left in stock. A favorite world wide, the RAM self leveling drink cup holder will bring a smile to anyone’s face when they get it. The perfect accessory for any vehicle including motorcycles, ATV’s, Big Rigs, and yes, even your prized riding lawn mower. 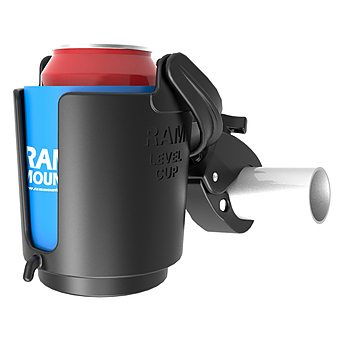 Easily installed and positions to keep your favorite beverage within reach, this gem even comes with a RAM can insulator. Take a corner as hard as you like, this holder is ready to ride. 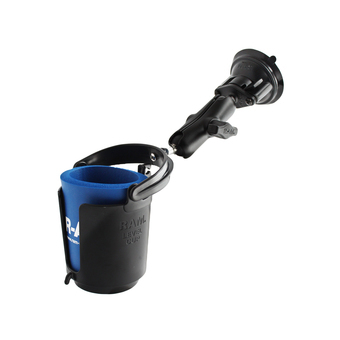 Included is a koozie, self leveling drink cup, double socket arm and 2.5" diameter round base the contains the universal AMPS hole pattern. 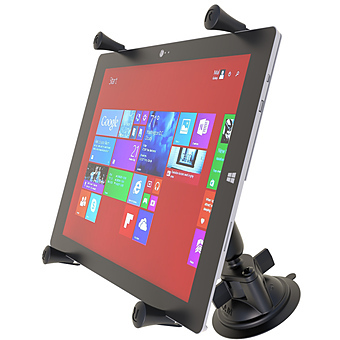 Designed into the mount is a 1" diameter patented rubber ball and socket system with an adjustment point at the round base and base of the cup holder.